ESSEX — Join friends and neighbors in celebrating 60 years of Essex Historical Society’s (EHS) service to the community at its Annual Strawberry Social and presentation of the 2015 Preservation Award on Sunday, June 28, from 1 to 3 p.m. The public is welcome to enjoy EHS’s annual family-friendly outdoor event with delicious desserts, fun games and good friends on the beautiful grounds of the historic Pratt House, 19 West Ave., Essex. Musical entertainment and guided tours of the gracious 1732 Pratt House will delight visitors. The oldest sections of the house, dating from the early 18th century, will be open to the public for the first time in more than 30 years. Themed displays and activities highlighting the 1950s (EHS’s founding decade) will add to the fun. The EHS will also present its Annual Preservation Award to a historic structure in town that has worked to preserve its historic nature and character. Members of the general public voted online or in person to select the winner. This 60th Anniversary Celebration will highlight the grand opening of new exhibit in the Pratt House Barn, an illustrated timeline of Essex history, funded by the Community Foundation of Middlesex County. 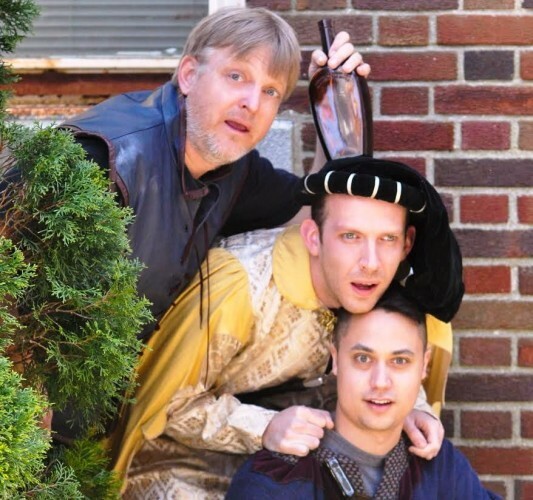 ESSEX — Tomorrow, Sunday, June 28, the Connecticut River Museum’s Theater Along the River kicks off with Flock Theatre’s production of William Shakespeare’s Twelfth Night. This event was rescheduled from last Sunday when it had to be postponed due to the inclement weather, so here’s a second chance to pack a picnic and enjoy a timeless story along the banks of the River. The museum’s grounds will open at 6 p.m. for picnickers to lay out blankets and chairs. Museum staff encourage the audience to make the picnic part of the experience. In fact, there will be a special prize awarded to the “best” picnic arrangement. There is only lawn seating, so plan to bring your own chairs or picnic blankets. A cash bar will include wine, beer, water, and soda. No carry-in alcohol is permitted and patrons will be carded for proof of valid ID at the bar. Tickets are $15 for the general public and $10 for children (12 and under). Tickets may be bought at www.ctrivermuseum.org or at the door starting at 6 p.m. the night of the performance. Curtain opens at 7 p.m. with a raindate of June 28. A second evening of Theater Along the River will be held on Saturday, Aug. 1. This will be Shakespeare’s Titus Andronicus. A seldom performed show, it is thought to be Shakespeare’s first tragedy and a production not to miss. Flock Theatre is a professional, not-for-profit theatre company founded in 1989. 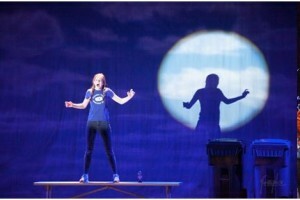 The theater company is dedicated to creating original, collaborative and educational theater. Perhaps best known for their long-standing summer Shakespeare in the Arboretum, Flock Theatre performs year-round in a variety of venues, including their winter “nest” at the First Congregational Church on the New London Pier, at the historic Shaw Mansion Museum and throughout New England. 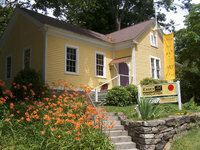 The Connecticut River Museum is located at 67 Main Street, Essex and is open daily from 10 a.m. – 5 p.m. For more information, call 860-767-8269 or go to www.ctrivermuseum.org. 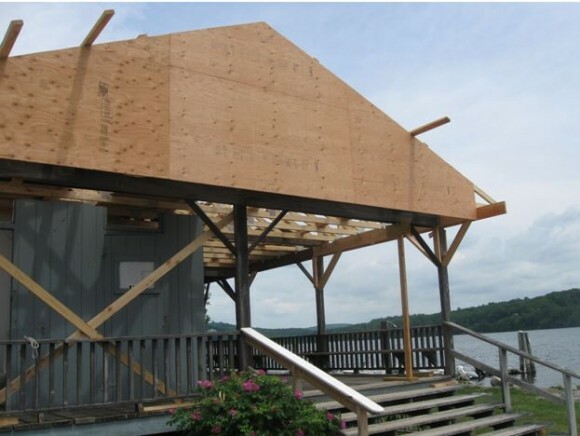 Flock Theatre presents Shakespeare’s Twelfth Night as part of the Connecticut River Museum’s Theater Along the River, June 21. Photo courtesy of Flock Theatre. The Nu Haven Kapelye 2015. Photo courtesy of Nu Haven Kapelye. CHESTER — Enthusiasts of klezmer bands may argue over which ensemble is the best in this part of New England, but there is no doubt about which one is the biggest. Come see and hear for yourself when Nu Haven Kapelye, a group that has included as many as 30 musicians, ranging in age from 8 to 80, plays at the annual free picnic concert on the grounds of Congregation Beth Shalom Rodfe Zedek in Chester on Sunday, June 28, at 5 p.m. 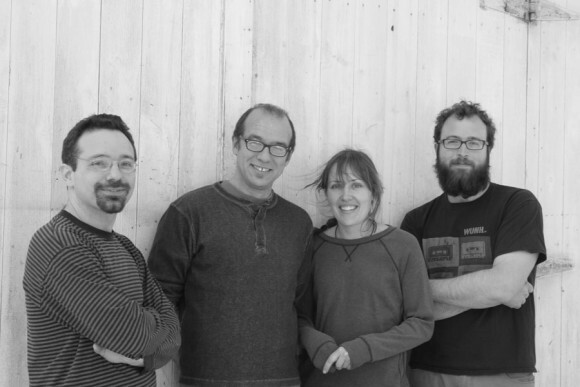 The band was formed in the late 1990s when a small group of local musicians came together to create a concert of Jewish music for the greater New Haven community on Christmas Day. 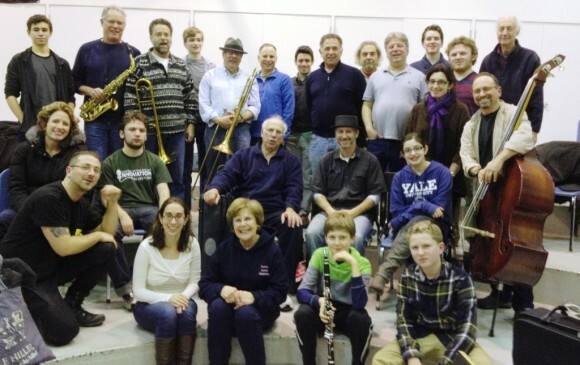 Over the last 15 years, the group has become a full-fledged year-round Klezmer Big Band. The members include professional musicians, students, and a whole bunch of amateur community members who love to play Yiddish song and dance classics. Though the concert, wrapping up the seventh season of concerts, is free and no reservations are required, audience members are asked to bring canned or boxed food items to benefit the Shoreline Soup Kitchen, the charity of this annual event. Food items, such as kosher hot dogs, will be available for purchase with proceeds going to the soup kitchen. Congregation Beth Shalom Rodfe Zedek is located at 55 East Kings Highway in Chester. For more information about the concert or the congregation, call the synagogue office, 860-526-8920. 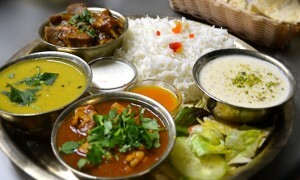 OLD SAYBROOK — A banquet to benefit Nepal earthquake victims will be held Sunday, June 28, from 5 to 9 p.m. at Clark Memorial Field, 210 Elm St., in Old Saybrook. All are welcome. This benefit event will raise funds for families devastated by the massive earthquake in Nepal, who are still in dire need of medical help, food, safe water, shelter, and supplies to rebuild lives. For more information, visit the event’s Facebook page under Old Saybrook/Nepal Benefit. Sign up for Group Youth Lessons (three per group) at High Hopes in Old Lyme on Fridays from 3 to 4 p.m. through Aug. 7 or Teen/Adult Semi Private Lessons (two per group) at Camp Harkness, Waterford on Wednesdays from 1 to 1:45 p.m. or 2 to 2:45 p.m. through Aug. 5. Contact Courtney Bernard at 860-434-1974, ext. 118 to learn more or visit www.highhopestr.org. There are a few spots left this July in the High Hopes Summer Camp for all children ages 3 to 12 on their beautiful 125-acre campus in Old Lyme, Conn. Campers are provided opportunities to build and/or develop horsemanship skills both on and off the horse. Campers will groom and tack their horse each morning in addition to a daily riding lesson. Other activities include vaulting, carriage driving, inclusive team building games and equine arts and crafts. Contact Sarah Carlson at 860-434-1974, ext. 115 to learn more or visit www.highhopestr.org. OLD SAYBROOK — The Acton Public Library in Old Saybrook will be hosting a Hotel Film Series on the third Monday in July and August at 6:30 p.m.
On Aug. 17, ‘The Grand Budapest Hotel’ will be shown. Bruce Glowac, President of the Essex Foundation and Augie Pampel, Essex Tree Warden admire the new Eastern Red Cedars along West Avenue in Essex. Missing from the photo is Paul Fazzino, Jr., Essex Fire Chief. ESSEX — For many years there has been concern about the appearance of the West Avenue entrance into Essex Village. Following a public hearing in 2001, Augie Pampel, Essex Tree Warden, requested that the Essex Tree Committee develop a plan for the area and that the existing arborvitae trees remain in situ until a West Avenue Gateway Plan had been developed. Now, 14 years later, with the help of local funding and cooperation, the plan is underway and work has begun to beautify this Essex Village gateway. As residents enter Essex Village, they will see new Eastern Red Cedar trees providing both screening and greenery along West Ave. to the intersection with Routes 154 and 153, making the Fire Department rear buildings and Eversource electric sub-station far less visible. The significant funds for this project were equally provided by The Essex Foundation and the Essex Fire Department with a smaller contribution by the Essex Tree Committee. Dave Caroline and his Town crew cleared the site prior to the planting and Fred Weber and Associates and his crew skillfully handled the planting of the large specimen trees. 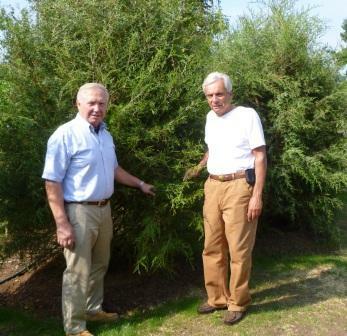 Ken Bombaci, a member of the Essex Tree Committee, was instrumental in procuring the beautiful Eastern Red Cedar trees. Additionally, Augie Pampel, Bruce Glowac, President of the Essex Foundation, and Fred Weber are developing landscape designs for the state property at the intersection of Routes 154 and 153 opposite West Ave. The landscape design will require state approval prior to implementation, but the hope is that the landscaping will begin in 2016. In the meantime, the Connecticut Department of Transportation has cleared the property of invasive species and undesirable vegetation. The goal is to plant areas with attractive, low maintenance, indigenous species of trees and shrubs. Pampel, in turn, expressed his appreciation to The Essex Foundation and Essex Fire Department, whose combined funds finally took this project off the shelf and caused it to swing into action along West Ave. and beyond. ESSEX — St. John’s Episcopal Church, Essex, and Middlesex Habitat for Humanity have announced a partnership in mission and ministry. This partnership represents a shared, mutual relationship between the people of St. John’s and Middlesex Habitat. St. John’s has pledged spiritual, physical, and fiscal support, and Middlesex Habitat has pledged to send representatives to the parish to speak of their vision, to share their needs and plans for the upcoming future, and to provide helpful information to communicate throughout the congregation about their work and the lives that are being changed as a result. “It is an honor and wonderful endorsement of our work to partner with such a vibrant and respected church. Their support is greatly needed as we begin construction on our thirteenth house,” said Sarah Bird, Middlesex Habitat for Humanity Executive Director. For 225 years, St. John’s Church has been a house of worship in the Episcopal tradition for the citizens of Essex and the surrounding communities of the lower Connecticut River Valley. Today the parish has over 400 active members under the ministry of Rector, The Rev. 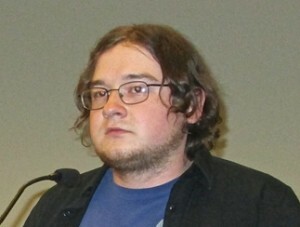 Dr. Jonathan H. Folts. Founded in 1996, Middlesex Habitat for Humanity of CT., Inc. is an independently operated affiliate of Habitat for Humanity International, a non-profit 501(c)3, Christian, ecumenical housing ministry. 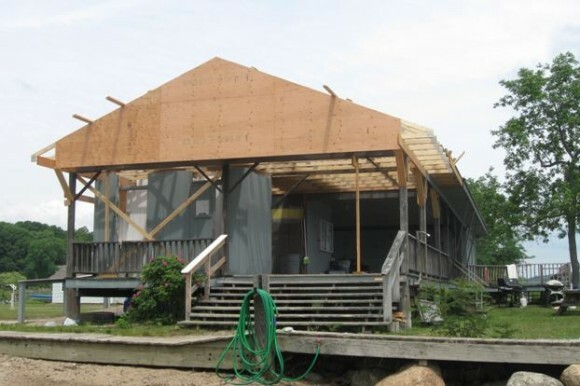 Its sole mission is to build or renovate simple, decent, affordable houses in partnership with eligible families and its objective is to eliminate substandard housing in Middlesex County, CT, one house at a time. The organization seeks to make decent housing a matter of conscience and action. Leigh Basilone (center) will once again teach kids scrapbooking techniques at Chester Library this summer. CHESTER — When the kids say they’re bored this summer, offer to take them to one of the free craft programs at Chester Library. For ages 7 and up, five craft workshops are offered on Wednesdays at 4:30 p.m. On July 8, learn Origami paper folding with Jenna and Erin. The next week, on July 15, sculpt a mythic Medusa. Decorate a photo frame with recycled re-useables on July 22, create Vegi Critters with Sandy on July 29, and learn the art of polymer (Sculpty) clay with Jenna and Erin on Aug. 5. 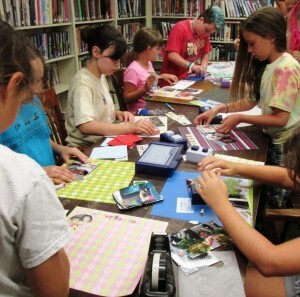 Ages 10 and older are invited to the scrapbooking class with Leigh Basilone on Thursday, July 9, at 4:30 p.m. Back by popular demand, Basilone will teach kids how to create a memory page with photos and more. Registration is required for all programs. Sign up now at the library or call 860-526-0018. OLD SAYBROOK — Artists for World Peace will present its 3rd Annual Dance for Peace on Saturday, June 27, at the Katherine Hepburn Cultural Arts Center (The Kate), 300 Main St., Old Saybrook, Conn. (860-510-0473). A reception and pre-show performance begins at 7 p.m.; show time begins at 8 p.m. Eight celebrated local and regional dance companies will be featured, as well as the International Peace Belt. Since 2003, the Peace Belt has traveled to over 28 countries on five continents, and has been worn during hundreds of artistic performances and sacred ceremonies. Join Artists for World Peace as they celebrate the creative spirit in the name of peace. or call The Kate Box Office at 877-503-1286. OLD SAYBROOK — Acton Public Library in Old Saybrook is offering two introductory computer classes this summer. The second will be on Tuesday, Aug. 4, starting at 6 p.m. These classes are designed for seniors who have little-to-no computer experience and are looking to start the journey to being computer literate. The course will cover basic keyboard and mouse and hardware tutorials, as well as an introduction to the Windows OS. The class will be conducted by the library’s reference librarian, and there will be assistance provided by teen tech tutors provided by the Old Saybrook Rotary Club. There is limited seating so contact the library at 860-395-3184 or actonref@actonlibrary.org to register or visit in person. 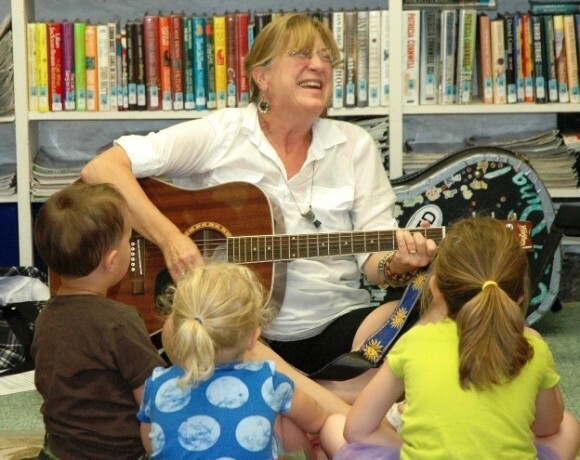 Margie Warner will entertain on Monday at Chester Library’s Summer Reading Program kick-off event. CHESTER — Children of all ages and their parents are invited to the kickoff of Chester Library’s summer reading program, “Every Hero Has a Story,” on Monday, June 29, at 10:30 a.m.
Chester’s own Margie Warner will entertain with her fun, interactive musical program, “You’re My Hero.” Warner is traveling the state all summer to give her program in recognition of the nationwide summer reading initiative about heroes. After the program, materials will be available for all children – readers and pre-readers – to start them off in the summer reading program as a “reading hero.” Refreshments will be served. For more information about the summer program at the Chester Library, call 860-526-0018. 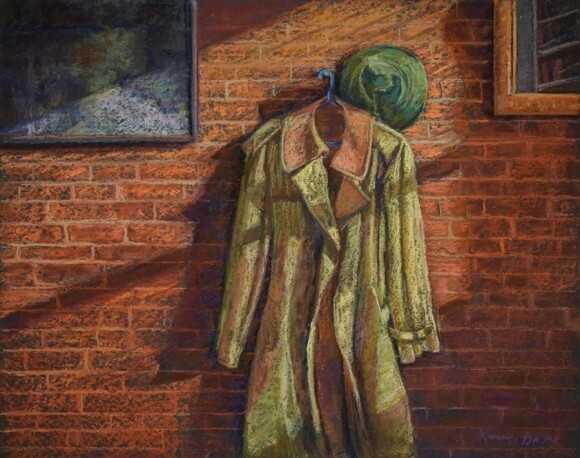 ESSEX — The theme of the Essex Art Association’s (EAA) latest exhibition is “Easy Street.” This is an open exhibition, meaning that any artist may submit whether they are associate artists, elected artists or non-member artists. The exhibition will be held at the Essex Art Gallery from July 4-18, during the hours of 1 to 5 p.m. every day except Tuesdays. The opening reception will be held Friday, July 3, from 6 to 8 p.m. In addition to the artworks on display and for sale in the main gallery, there is also what the Association has called the “Exit Gallery.” One artist has sole use of this gallery to exhibit his/her work during the current EAA show. 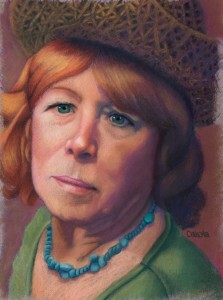 The Exit Gallery artist during “Easy Street” is Westbrook artist, Beverly Schirmeier. The EAA’s cheerful, yellow building, pictured above left, is located on North Main St. in the center of the riverside town of Essex, Conn. The EAA members invite readers to come and spend a pleasant afternoon visiting their gallery. ESSEX — The 4th Annual RUN FOR CHRIS 5K will be held Sat. June 27, at Essex Town Hall. 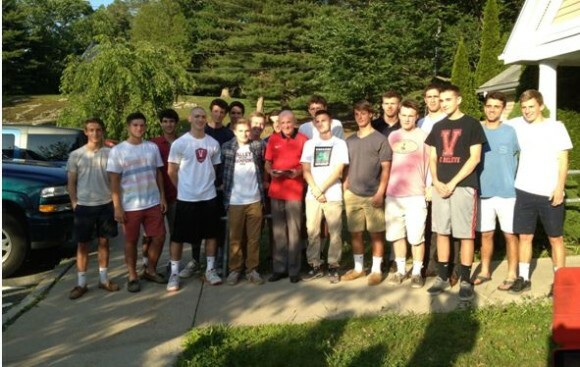 It is both a memorial and charitable event, the primary purpose of which is to raise money for educational endeavors at the high school level in the Lower Valley of Middlesex County. The proceeds from the RUN FOR CHRIS go directly to these causes. The Chris Belfoure Memorial Fund was established at the Community Foundation of Middlesex County (CFMC) to honor Belfoure’s memory and perpetuate his ideals. Belfoure was just 24 when he tragically died in July 2011. 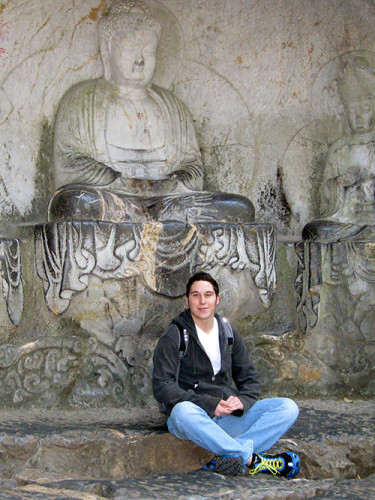 Yet his passions – his belief in the global community, his dedication to teaching and the environment – will be shared through the Chris Belfoure Memorial Fund. Belfoure greatly appreciated the opportunities afforded to him that introduced him to new places, peoples, and cultures, such as his time spent studying and working in China. (He had participated in the trips abroad while at Valley Regional High School). He felt that every young person should have similar opportunities to expand their horizons, since his experiences had so profoundly impacted him and his worldview. To pre-register for the race, go to aratrace.com, and click on Run For Chris. (Race day registration starts at 7 a.m.) Overall and age-group awards will be given, and all participants will receive a free, tech t-shirt. Fun Run for Kids 6 and under starts at 8:15 a.m. along with the CB4 Mile Run for ages 7-14. The 5K and 2mile walk start at 8:45a. The Run is USATF Certified. Contact Robin Chapin at 860-227-6379 with any questions. Craig Edwards will give a concert with the Root Farmers at Bushnell Farm on Father’s Day. OLD SAYBROOK — Take Dad to Bushnell Farm on Father’s Day, Sunday, June 21, for a free concert of toe-tapping, rural American music by Craig Edwards and the Root Farmers. The 22-acre grounds with eight buildings will open at 3 p.m. with the concert being held from 4:30 to 6 p.m.
Bring your chair or blanket. Free parking is on site at 1445 Boston Post Rd. in Old Saybrook. AREAWIDE — Music and drama have been linked since Antiquity, when Greek drama evolved from choruses that recited poetry. This year’s Connecticut Early Music Festival program explores music’s relationship to the theatrical modes of tragedy and comedy. From the music of the commedia dell’arte to dramatic and comic moments in Beethoven’s violin sonatas, this year’s concerts demonstrate works of music as works of theater. The festival offers three pairs of concerts over the first three weekends in June. The Saturday, June 20 concert is at the First Congregational Church of Old Lyme and the Sunday, June 14 concert was at the La Grua Center in Stonington; all the remaining concerts are at Evans Hall in Connecticut College. Tickets can be ordered online at this link. Saturday, June 20 – 7:30 p.m. The Baltimore Consort has delighted audiences on both sides of the Atlantic for 35 years. Its mixed ensemble of viols, recorders, plucked-string instruments, and voice could be called “Shakespeare’s Stage Band.” In this spirit, the ensemble performs existing and new arrangements of tunes popular in Shakespeare’s time from England and Continental Europe. 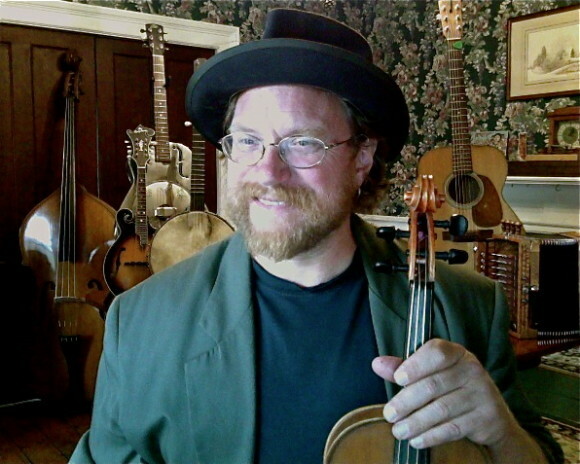 Sunday, June 21 – 5 p.m.
Pre-Concert talk by Dr. Eric Rice – 4 p.m. These two cantatas by J.S. Bach both contain ravishing music that the composer saw fit to use in later compositions: BWV 12, a meditation on the afflictions Christians have to endure, became the Crucifixus of the Mass in B Minor, and BWV 213, a dramma per musica written for the birthday of the crown prince of Saxony, was recast as part of the Christmas Oratorio. Last summer, more than 700 concert-goers enjoyed picnics, dancing and the swinging sounds of The Big Band with Bob Hughes as the group performed in Main Street Park in Essex Village. This summer’s free concert is scheduled for July 25 in the Park. 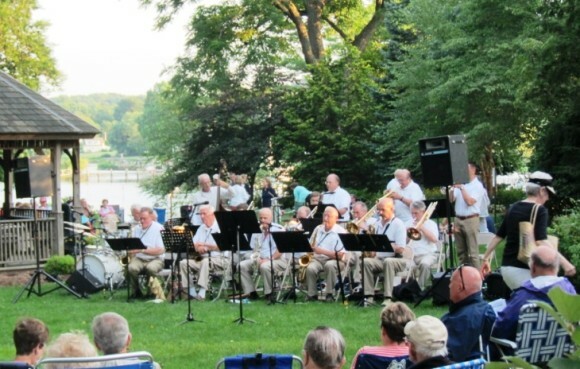 ESSEX — Enjoy the sounds of swing and standards from the Great American Songbook as The Big Band with Bob Hughes performs at a free concert on the Essex Green on Saturday, July 25 from 6:30 to 8 p.m. The Green is located on Main Street in Essex Village. Rain date is July 26. Bring lawn chairs and a picnic supper. Dancing on the grass or in the gazebo is encouraged. Admission is free. 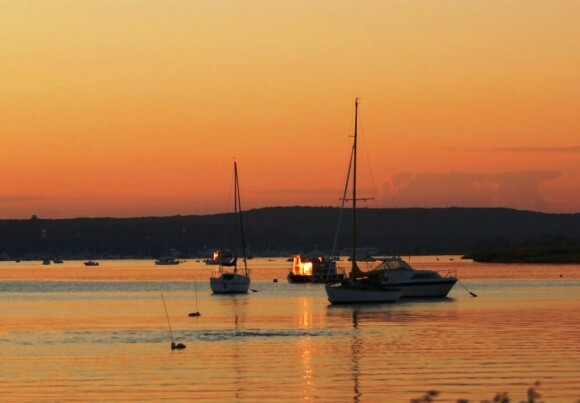 OLD SAYBROOK –The Marshview Gallery features the photography of Robert Gauggel during the month of July. He has an eye for capturing nature and has won several awards for his work. 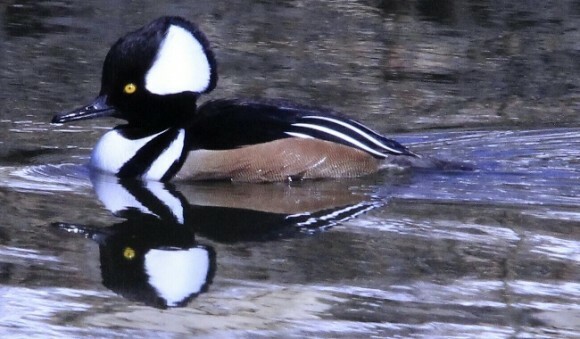 Gauggel has donated many of his photographs to local nature centers along the shoreline for use in their educational programs. A resident of Clinton, Conn., Gauggel prides himself in matting and framing without the aid of a computer. 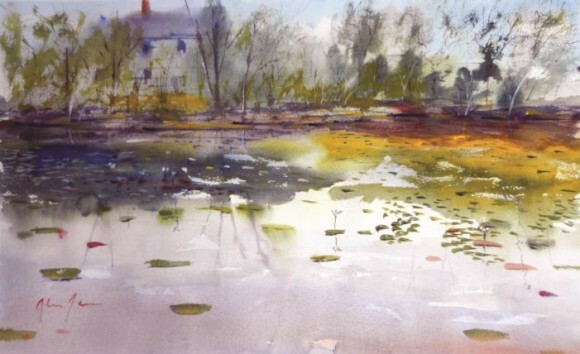 The Marshview Gallery at the Estuary Council, 220 Main St. in Old Saybrook is open daily, Monday through Friday from 8 a.m. to 4 p.m. and on Saturdays from 8 a.m. to 12 p.m.
All are welcome to join an Artist Reception on Friday, July 10, from 5 to 7 p.m. Refreshments will be provided. 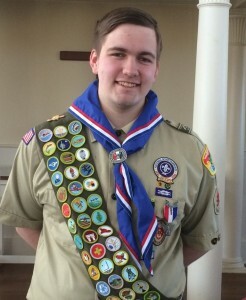 CHESTER & DEEP RIVER — An Eagle Scout Court of Honor was held recently for Nathaniel Kinsman at the First Church of Christ in East Haddam, Conn. Kinsman is a member of Boy Scouts of America Troop 13, which serves boys aged 11-18 of Chester and Deep River. To become an Eagle Scout, Kinsman earned 54 merit badges and advanced through the seven scout ranks by learning Scout and Life skills while simultaneously providing leadership to his Troop and service to his community. One of the final requirements for the Eagle Rank is to show leadership in and complete a service project that benefits the boy’s community, school, or religious institution. Kinsman’s project was to refurbish the playground at the First Church of Christ in East Haddam. This included covering areas of the playground with fresh wood chips; refurbishing the two existing benches; sanding and refinishing the sandbox and refilling with clean sand; repairing the children’s playhouse; applying several coats of linseed oil to all playground swings and structures; adding new toddler swings; and landscaping the surrounding area. The purpose of the Boy Scouts of America is to help young men develop their character and life skills all while having fun. There is much emphasis placed on assisting these young men to develop into strong healthy citizens who will lead our communities and country in the years ahead. The Boy Scout methods help to promote these ideals through the challenge of putting them into practice with the Troop Program. This is done in a way that is both challenging and enjoyable. This stunning garden is on the 2015 Garden Tour. 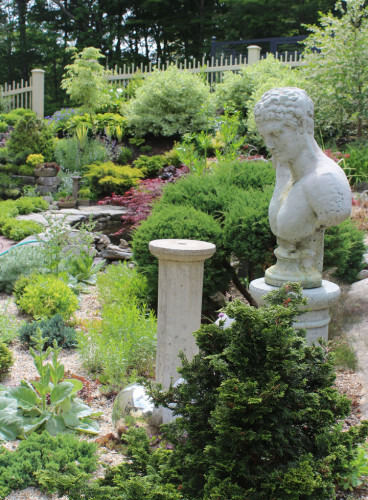 LYME — Tickets are still available for the 2015 Lyme/Old Lyme Garden Tour, taking place on June 19 and 20. Just in time for the start of summer, the Lyme/Old Lyme Garden Tour brings together six carefully chosen destinations in Lyme, all within minutes of each other. bask in the elegance of an English garden that overlooks the Eight Mile River. Another beautiful garden on the 2015 Tour. Each of the gardens on the 2015 Lyme/Old Lyme Garden Tour offers a unique perspective on gardening along the shoreline in Connecticut, and together they provide a fitting welcome to a long-awaited summer! The popular Garden Talks return, included in the price of admission. This year, garden experts will present talks on such topics as The Importance of Soil, Natural Habitat Gardening, and Gardening FAQs. Lunches, catered by Saybrook Catering Co., will be available on both days, and the ever-popular Garden Boutique will offer gifts and furnishings for garden, home, and you! The Lyme/Old Lyme Garden Tour takes place (rain or shine) on Friday, June 19 and Saturday, June 20. The self-guided tour runs from 10 a.m. to 4 p.m. both days, and visitors should allow at least three hours to complete. Advance tickets for this year’s Garden Tour ($25 advance, $30 day of tour) are available locally through June 17 at The Bowerbird and Old Lyme Landscape in Old Lyme; Hadlyme Country Market in Hadlyme; and Pough Interiors in Essex. Tickets can also be purchased at the Child & Family Agency offices at 255 Hempstead Street, New London, or by sending a check and SASE to P.O. Box 324, Old Lyme, CT 06371. Online sales are available at www.childandfamilyagency.org. All proceeds from the 2015 Lyme/Old Lyme Garden Tour will benefit the many services and capital projects of the Child & Family Agency of Southeastern Connecticut, a private, nonprofit organization dedicated to the well-being and development of all children and their families, with emphasis on the unmet needs of children lacking physical, emotional, and intellectual care and nurturing. With offices in New London, Essex, and Groton, Child & Family Agency is the largest nonprofit children’s service provider in southeastern Connecticut. An art exhibit will be held at the Essex Library Association through the month of July featuring guest artist, Alan James. 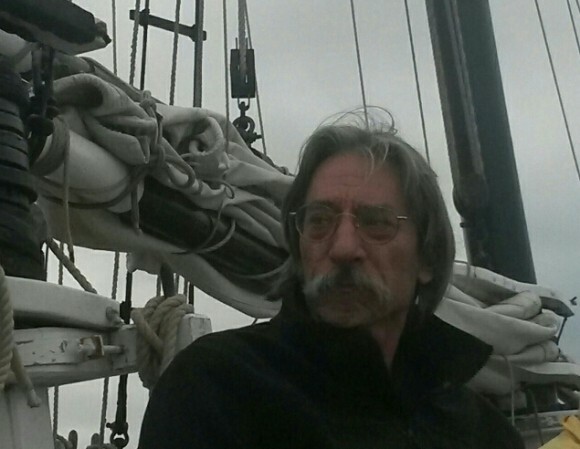 Deep River resident Alan James was born and raised in New Haven, CT. His passion for art began as a child and was reawakened after a successful career as a musician. 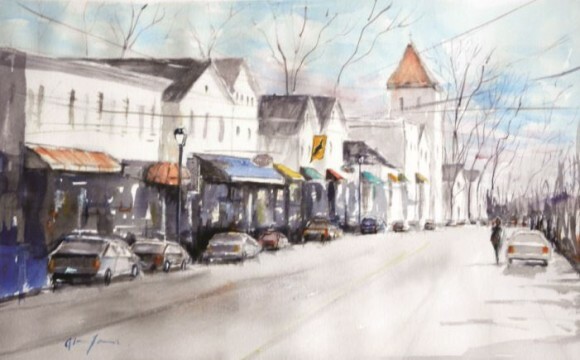 His professional affiliations include the New England Watercolor Society, the Lyme Art Association and the Mystic Art Center. He says: “I always strive to capture the essence of the scene so as to allow the viewer’s eye to finish the painting by utilizing simple and strategically placed brushstrokes. I do, at all cost, try to avoid a photorealistic approach and superficial details so that the eye may be directed toward the focal point without distraction in hopes to achieve a more pleasant and less static composition. Keyboard Pond II by Alan James. What attracts me to watercolor is the translucency which allows the white of the paper to shine through and, of course, the free flow of the water doing its own magic thing. 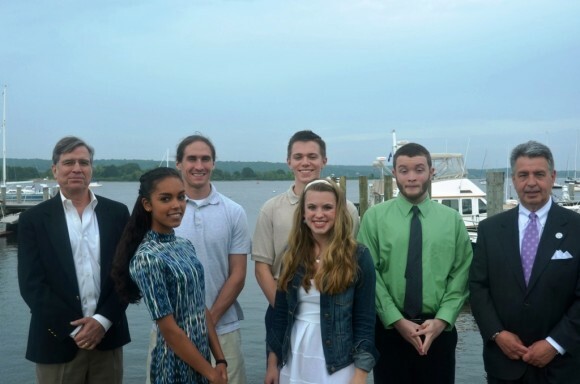 Essex Rotary Club’s scholarship recipients were honored at the club’s annual meeting. Standing from left to right are Scott Nelson (Rotary Club Scholarship Chair), Claire Halloran (2015 scholarship recipient), Mason King, Morgan Hines and Glenn Holmes, who are all current scholarship recipients, Harrison Taylor (2015 scholarship recipient) and Jordan Welles (incoming Rotary Club president). Absent were Allyson Clark, Emily LeGrand and Emma Weeks, who are also all current scholarship recipients. ESSEX –The Rotary Club of Essex honors current scholarship holders at their annual meeting where they talk about their experiences and plans for the future. 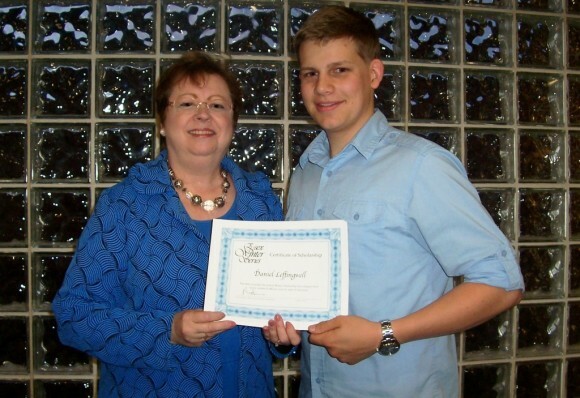 Two four-year college scholarships are awarded to high school seniors each year. This year’s recipients are Claire Halloran and Harrison Taylor. The Rotary Club of Essex meets Tuesday evenings at the Essex Yacht Club. Anyone interested in learning more about Rotary or who may be interested in joining can obtain information from the club’s website at http://www.rotaryclubofessex.com/. CHESTER — A new exhibition titled, “Hats, hats, hats,” opens at Maple and Main Gallery, One Maple Ave. Chester on July 1 and will be on view through July 31. There will be two receptions on Friday, July 10, from 6 to 8 p.m. and Saturday, July 25, from 5 to 7 p.m.
Gallery hours are Wednesday through Sunday, 11 a.m. to 6 p.m.
Claudia Post from Chester, Conn.
Master pastelist and professional portrait artist for over 50 years. She conducts an academic fine art program specializing in art mentoring and coaching and is available for Jurying, Judging, and Portrait Workshops. Karen Israel from West Hartford, Conn.
Joel Engelhardt from Shrewsbury, Mass. Nan Iselin from Killingworth, Conn.
Lou Zucchi from Kensington, Conn.
Dakota Neumon from Milford, Conn.
Lauren Tyrell from Clinton, Conn. Studied at Post Atelier and graduated from School of the Museum of Fine Arts in Boston and Laguna College of Art and Design in California. 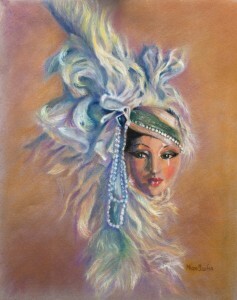 She is a member of Colored Pencil Society of America and works in pastel, colored pencils and oil. 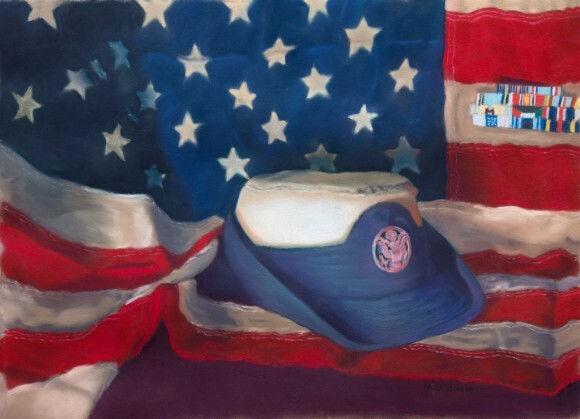 Nicole DiStasio from Clinton, Conn.
Attends Middletown High School in Middletown, Conn., is a member of Post Atelier and has exhibited with the Clinton Art Society. Samantha Listorti from Old Saybrook, Conn. Graduated from Lyme College of Art and currently is the Arts Day Program Specialist for Vista in Madison, Conn. She freelances in various mediums. Artists will be available to discuss their art work, commission work and display their portfolios at both Opening Receptions at Maple and Main Gallery. 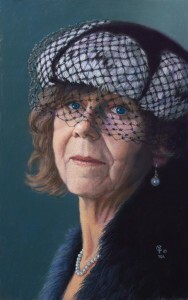 There will be paintings of many different hats in portraits, still life work and in genre (a slice of life). CHESTER – Three Chester Village West employees and three children of employees have each been awarded a $2,5000 scholarship from the Chester Village West Foundation, Inc. The scholarships will help these employees and their children continue their education at colleges and universities in Connecticut and beyond. The scholarship recipients include Ivoryton resident Jordan Saintil and Old Saybrook resident Jack Conway. Saintil is the son of Chester Village West kitchen staff member Anne Marie Saintil. He is entering his senior year at Endicott College, majoring in sports management and participating in a work intern program. Saintil’s dream is to obtain a position in management with the Boston Celtics. Conway, the son of Chester Village West activities director Marcy Conway, is a fifth-year mechanical engineering student at the University of Connecticut. Conway, who works in a computer store, hopes to get a job in aeronautical engineering upon his graduation in 2016. Created as not-for profit entity in 1998 by a group of Chester Village residents, over the past 17 years the Chester Village West Foundation has raised and provided scholarships to the community’s staff and their children, helping them to further their education beyond high school. Over the past few years, the individual scholarship awards have been gradually increased to the current $2,500 per person. Killingworth resident Erin Fredericksen, a receptionist at Chester Village West and daughter of housekeeping staff member Debbie Fredericksen, is a senior majoring in biology at Central Connecticut State University. East Hampton resident Max Nadelman, stepson of Chester Village West chef Will Dallas, has just been accepted at Northeastern University, where he will begin studies in business analytics and technology in its business school. 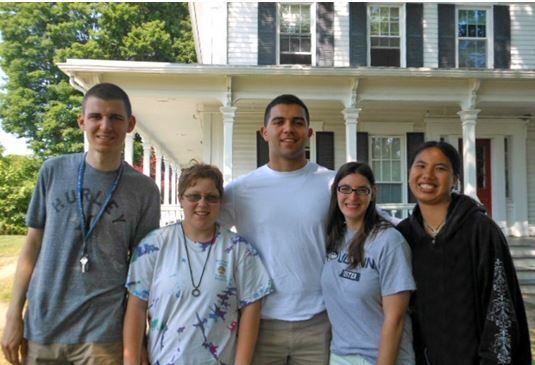 Killingworth resident Donald O’Boyle, a member of the Chester Village West dining room wait staff, is entering his fourth year at the University of Connecticut with a double major in electrical engineering and German. East Haddam resident Jacob “Jake” Woodworth is a member of the Chester Village West dining room wait staff. He has been accepted for his freshman year at Cambpell University in North Carolina, where he will be majoring in homeland security. Residents of the Chester Village West community make tax-deductible contributions to the Chester Village West Foundation Inc. on a monthly or annual basis. Employee candidates for the scholarships must work a minimum of 200 hours at Chester Village West during a calendar year. Chester Village West employees submit their applications, school transcripts and recommendations to the foundation’s committee on April 1 for review. Scholarships are awarded during a June ceremony for the recipients, their families and friends. ESSEX — On Monday, June 15, at 7 p.m. join Ivoryton Playhouse Executive/Artistic Director Jaqueline Hubbard and South Pacific Director David Edwards at the Essex Library for a talk about this great musical and its place in the history of musical theater. The influence and impact of arguably the greatest musical theater writing partnership of the 20th century – Rodgers and Hammerstein – will be discussed. Hubbard will talk about why she chose South Pacific for the 2015 Season and how audiences are responding. 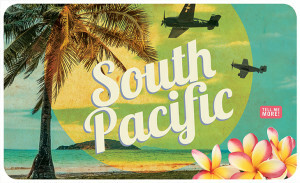 The themes of South Pacific, including racial prejudice and gender roles will be explored. Director David Edwards will also talk about his vision for this production and the challenges of producing such a large production on Ivoryton’s small stage. Edwards is an accomplished actor and director who has performed on and off Broadway, as well as on TV and in films. He appeared in last season’s Ivoryton Playhouse production of La Cage Aux Folles and this season’s Calendar Girls. His numerous directing credits include multiple productions of The Producers and South Pacific, as well as Showboat and many others. British native Hubbard has been the Ivoryton Playhouse’s Executive/Artistic Director for over 20 years. During her tenure she has breathed new life into the century old theater, overseeing of a complete renovation in 2006 that has enabled it to become a year-round facility. Hubbard also directs, and acts in, many of the Playhouse’s productions each year. This program is being presented in conjunction with the Playhouse’s July 9 performance of South Pacific, which will jointly benefit the Essex and Ivoryton Libraries. The cast includes local residents Patricia Schumann and David Pittsinger, who played the part of Emile on Broadway. Seats are now on sale at both libraries, and are selling quickly. They are priced at $60, and entitle purchasers to attend a pre-performance reception, as well as an opportunity to enjoy desserts and meet the cast after the show is over. DEEP RIVER & ESSEX — Acacia Bowden of Deep River and Megan Ryan of Essex have received their Girl Scout Gold Awards, the highest honor a girl can earn in Girl Scouting. In order to earn the Gold Award, Senior and Ambassador Girl Scouts grades nine through 12 spend at least 80 hours researching issues, assessing community needs and resources, building a team, and making a sustainable impact in the community. A Gold Award recipient’s accomplishments reflect leadership and citizenship skills that set her apart as a community leader. Bowden’s project addressed girls and education on a global and local level by showing the film, “Girl Rising,” at her high school to raise awareness of the struggles that girls face around the world with education. With the help of two Pratt and Whitney engineers, Bowden created a simple machine to use for her project. The film, “Girl Rising,” can be found in Bowden’s school library along with lesson plans for teachers. Her engineering program will also continue to be run by educators in Deep River. Bowden plans to become a physician’s assistant after she graduates. Ryan’s project was to implement an instructional sailing program for women in her town at a local yacht club. Over the summer, Ryan taught sailing lessons, water instruction, and ran two regattas with a group of women. Her program had 30 participants, and helped increase their skills and confidence in sailing and competition. The group did so well that they will be able to instruct novice sailors next summer. 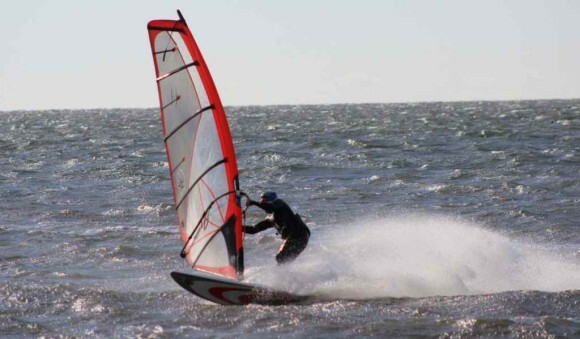 Ryan also implemented the first Women’s Sailing Regatta, which the group will host next year. Ryan plans on pursuing a career in engineering. 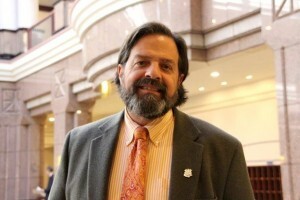 For more information about the Gold Award or how to become a Gold Award volunteer or mentor, visit http://www.gsofct.org/pages/GoldAward.php. 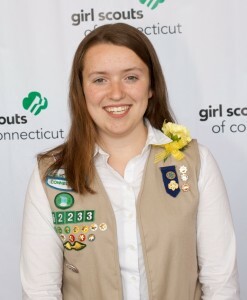 Editor’s Note: Girl Scouts of Connecticut are more than 55,000 members strong – girls and adults – who believe that every girl can change the world. They are part of a sisterhood of 2.8 million around the globe. It all began more than 100 years ago with one woman, Juliette Gordon Low, who believed in the power of one girl. Girl Scouts continue her vision of building girls of courage, confidence, and character, who make the world a better place. 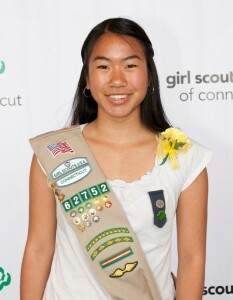 At Girl Scouts, they believe that there’s a chance for every girl to do something amazing. 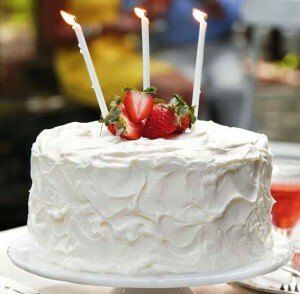 DEEP RIVER — Join Deep River Historical Society’s annual Strawberry Social, Sunday, June 14, from 2 to 4 p.m. at the Carriage House, 245 Main Street, Deep River. Donation at the door includes strawberry shortcake (with real whipped cream!) and a hot or cold beverage. There will be a Berry Basket raffle that includes gift certificates for local merchants. Contact Charlotte Lazor (860) 526-5979 or via email clazor@wesleyan.edu for more information. ESSEX — The Essex Land Trust invites all to the lovely Essex Main Street Park on Sunday, June 14, from 5:30- 7 p.m. for a summer BYO beverages/picnic and concert by ‘Blues on the Rocks,’ a local band. Bring chairs, blankets and relax … or dance! Bad weather cancels. Contact Judy Saunders for further information at 860-581-8108. The New Horizons band of the Community Music School gather for a photo. The Community Music School (CMS) presents two spring concerts featuring performing ensembles on Sunday, June 14. Under the direction of Karli Gilbertson, Glee for Grownups presents, “80’s Broadway Extravaganza,” at 1 p.m. at Trinity Lutheran Church in Centerbrook. Accompanied by Sue Sweeney, members will perform solo and ensemble pieces. These vocalists rehearse throughout the semester and never disappoint with a fun and lively concert. Also this day, the New Horizons Band and Baroque Ensemble perform a Concert in the Park at the Gazebo at Deep River Landing at 4 p.m. The New Horizons Band is a supportive group for beginners or those who have not played an instrument in years. Directed by Paddy Hurley, the group will perform a varied program of marches, Patriotic music, pop and rock, including performances by their Woodwind Ensemble and Brass Quintet. The Baroque Ensemble is a 12-piece string group comprised of core members of the CMS String Ensemble and directed by Martha Herrle, and they will be playing works by Vivaldi, Bach and more. The rain location for this concert is the Centerbrook Meetinghouse, 51 Main St., Centerbrook. Both concerts are free and open to the public. Come and meet the directors and members of each ensemble to find out more about the programs. The CMS offers innovative music programming for infants through adults, building on a 30-year tradition of providing quality music instruction to residents of shoreline communities. Community Music School programs cultivate musical ability and creativity and provide students with a thorough understanding of music so that they can enjoy playing and listening for their entire lives. 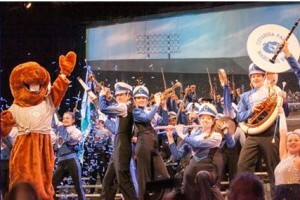 Visit www.community-music-school.org or call 860-767-0026 for program information. CHESTER — Complete with a red carpet, the Madison Art Cinemas will host the Sunday, June 14, world premiere of We Built This House, a one-hour film telling the story of Chester synagogue Congregation Beth Shalom Rodfe Zedek (CBSRZ)—known as a global art landmark for being the only public building that acclaimed artist Sol LeWitt ever designed. Film producer-director Jon Joslow, a lifetime member of the Congregation, will discuss the movie and a reception will follow the screening. Tickets are open to the public and may be obtained for a donation of $18 each through the synagogue office, 860 526 8920. The start time is 11 a.m. In a 2013 profile, Town & Country’s arts editor compared the striking Chester sanctuary with a masterpiece chapel Henri Matisse created in Nice, France. But the synagogue, opened in 2001, started as a napkin sketch. LeWitt first drew a structure inspired by traditional wooden temples of Eastern Europe combined with elements of colonial New England barns. LeWitt, a Chester resident who died at 78 in 2007, is recognized as one of the most celebrated artists of the 20th century. 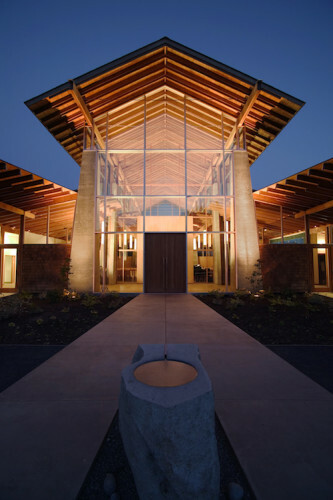 The sanctuary has become known as one of the most astonishing, and spiritually welcoming, religious spaces in the world. True to its roots, Beth Shalom Rodfe Zedek has become one of the shoreline’s most vital cultural centers. Its Music & More performances draw hundreds and its art gallery features serial exhibitions from established and breakthrough artists. Beth Shalom Rodfe Zedek—Hebrew for “House of Peace Pursuing Justice”—is marking the 100th year since the founding of one of its two predecessor temples in Moodus. We Built This House is part of yearlong centennial celebrations culminating in an Oct. 3 gala and the inaugural presentation of the synagogue’s new annual Pursuer of Peace and Justice Award. Though it is located in Chester, temple members come from 36 towns, from West Hartford to Westbrook, Norwich to North Branford. Producer/director Joslow is a crisis/transition leader for private equity who spent a year mining the history of the congregation and its building. Given time limitations in the documentary, which was conceived as a pilot, the synagogue is developing a parallel video archive to capture stories of all congregants who were part of the building’s creation. Beth Shalom Rodfe Zedek is also positioning the film to encourage financial contributions to support “Second Century” programming. Supporters can be listed in permanent screen credits as producers. DVDs of We Built This House are expected to be released later this year. Given the film’s unique insights into art as architecture, and into how a community can join together in creative enterprise, organizers anticipate interest among public television stations, those engaged in architectural and design collaborations, and art museums, in airing it following the premiere. 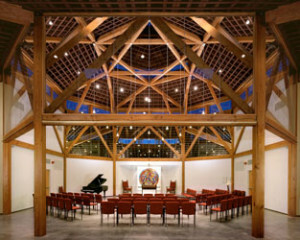 The Madison Art Cinemas is located at 761 Boston Post Road, Madison CT.
For more information on We Built This House or Beth Shalom Rodfe Zedek, see www.cbsrz.org or www.ancientandcool.com. Or contact Temple Administrator Wendy Bayor at wendy@cbsrz.net or 860-526-8920. The Acton Public Library in Old Saybrook will be hosting a display of Jerry Basil’s toy soldiers for the month of June. Basil has been collecting different kinds of toy soldiers for many years and has an impressive collection. The Acton Library is open from 10 a.m. to 8:30 p.m. Monday through Thursday, 9 a.m. to 5 p.m. Friday, and Saturday from 1 to 5 p.m. The new board of the Friends of Essex Library gather for a photo. 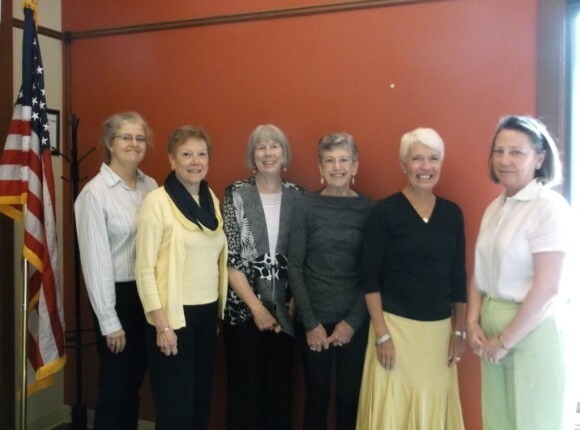 From left to right, Judy Fish, Betsy Godsman, Peggy Tuttle, Linda Levene, Jo Kelly and Genie Devine. Absent is Pat Mather. 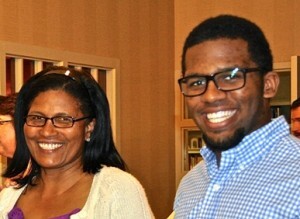 ESSEX — The Friends of the Essex Library announced its new board at the annual meeting on June 4. Linda Levene will again lead the group as President. Others on the board include Jo Kelly: Vice President, Pat Mather: Treasurer, Genie Devine: Secretary, Peggy Tuttle: Book Coordinator, Betsy Godsman: Publicity, and Judy Fish: Liaison between the Essex and Ivoryton libraries. 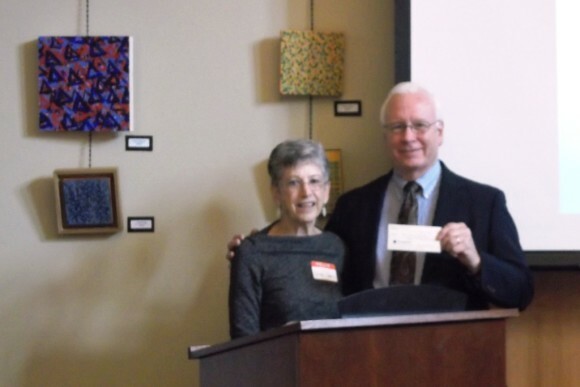 Linda Levene, President of the Friends, presented Library Director Richard Conroy with a check for $15,000 that will be used for a variety of services that enrich the library’s offerings. Linda Levene presents a check for $15,000 to Library Director Richard Conroy. It was noted that volunteers spend thousands of hours each year keeping book shelves in order and helping in the children’s room. 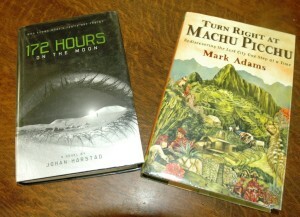 Volunteers also prepare and run the annual spring and fall book sales. In addition, the Friends sponsor events such as last summer’s “Our Library Rocks.” This year, a special night at the Ivoryton Playhouse’s production of “South Pacific” will be a major fundraiser. Tickets are on sale at the Essex and Ivoryton libraries. 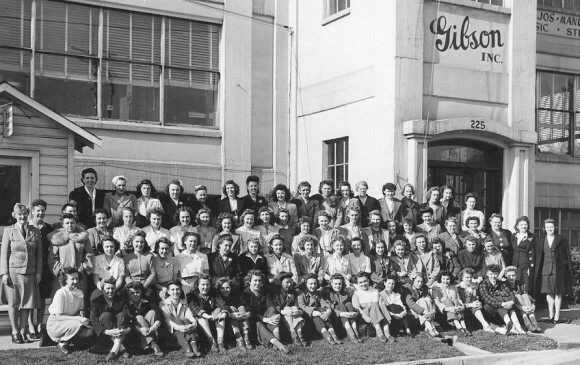 CHESTER – When Quinnipiac University law professor, author and guitar aficionado John Thomas stumbled upon a 1940s photo of 70 female workers in front of the Gibson Guitar factory in Kalamazoo Michigan, he was determined to find them and uncover their stories. He was also intent on learning why Gibson’s advertising denied the factory was making guitars during the war, despite the fact that their female workers produced 25,000 guitars from 1940 to 1945. Thomas’ interviews with 12 of these remarkable women – and how he and colleagues at Quinnipiac’s medical school proved the superior quality of their work as their men fought in the “Good War” – are detailed in his book, “Kalamazoo Gals: A Story of Extraordinary Women and Gibson’s Banner Guitars of WWII”. In a free and open to the public multimedia presentation, Thomas will tell the story of Gibson Guitar’s “Kalamazoo Gals” on Friday, June 12, from 7:30 to 8:30 p.m. at Chester Village West, 317 Main Street, Chester Conn. 06412. Space for the presentation is limited; call 860.526.6800 or email chestervillagewest@lcsnet.com to reserve your seats. Located in historic Chester, Connecticut, Chester Village West gives independent-minded people a new way to experience retirement and live their lives to the fullest. Within a small community of private residences that offer convenience, companionship, service and security, Chester Village West enriches lives with a comprehensive program that enhances fitness, nutrition, active life, health and well being. Find out more at chestervillagewestlcs.com. Sam Nochera (center) meets students at Vista’s Westbrook Campus after delivering the proceeds from youth football clinics he organized to benefit Vista. OLD SAYBROOK — Sam Nochera, a soon-to-be graduate of Old Saybrook High School, turned his senior project into an opportunity to benefit Vista Vocational & Life Skills Center, an organization he came to know four years ago through his love of sports. 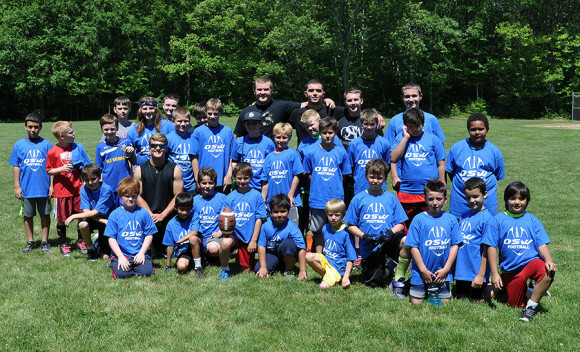 For his project, Nochera teamed up with the Old Saybrook Parks and Recreation Department and Old Saybrook-Westbrook (OSW) Football to host youth football Spring Training clinics on May 30 and June 7. All proceeds from the clinics—nearly $1,400— were donated to Vista and will benefit the Ed Gallant Financial Aid Fund, which provides scholarship opportunities to individuals in Vista’s programs. For at least two seasons, Nochera joined Vista members for casual games of basketball at Daisy Ingraham School in Westbrook. The experience, he said, was rewarding and enjoyable. It also stuck with him over the years. So much so, Nochera wrote his senior research paper on individuals with disabilities transitioning out of high school—which led him back to Vista. Nochera, an alumni of the OSW program, has been playing football since he was 8-years-old. The Spring Training clinics, which catered to second through eighth-graders, allowed Sam the perfect opportunity to raise awareness for two programs he cares about. This fall, Nochera is headed to Tulane University in New Orleans, where he plans to pursue a double major in International Relations and Finance. ESSEX — James Cutler, an acclaimed Northwestern architect who founded his own firm and has taught at Harvard and Dartmouth and elsewhere, examines his environmentally attuned design work on Thursday, June 11, at the Essex Town Hall at 7 p.m. Titled “True to its Nature,” Cutler’s illustrated presentation will review several projects that attempt to reveal and reflect the tangible set of circumstances in which they are placed. 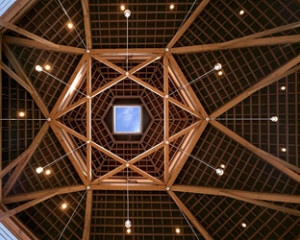 Established in 1977 and located on Bainbridge Island in Washington, Cutler Anderson Architects (http://cutler-anderson.com/) is internationally renowned for its environmental awareness and attention to detail. The firm has designed more than 300 residential, commercial, and cultural projects around the world. It also has designed a myriad of home products in conjunction with its architecture, such as hardware, furniture and lighting. His talk is free and part of the Centerbrook Architects Lecture Series, which is one of many programs that are offered regularly by the Essex Library (http://www.youressexlibrary.org/). Call the library at (860) 767-1560 to register. Sponsored by Centerbrook Architects, the series is in its seventh year. IVORYTON – Fairfield University’s 2015 Bellarmine Medal, awarded to the student with the highest academic average, was presented to Ashley Rose Paholski, of Ivoryton, Conn. She maintained a perfect 4.0 grade point average throughout her undergraduate years at Fairfield. 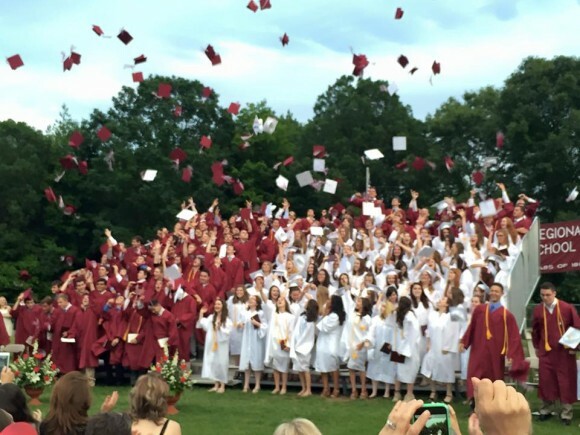 commencement exercises held May 17. Sciences. She minored in mathematics and education. She plans to attend Georgetown University Law School beginning this fall. 5,000 undergraduate and graduate students from 36 states, 47 foreign countries, the District of Columbia and Puerto Rico are enrolled in the University’s five schools. In the spirit of rigorous and sympathetic inquiry into all dimensions of human experience, Fairfield welcomes students from diverse backgrounds to share ideas and engage in open conversations. The University is located in the heart of a region where the future takes shape, on a stunning campus on the Connecticut coast just an hour from New York City. 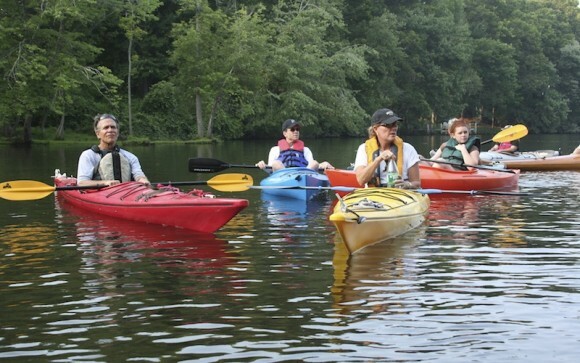 ESSEX — The Essex Land Trust invites you to bring your own boat Tuesday, June 9, for an early summer kayak/canoe trip into peaceful North Cove and Falls River, accompanied by a naturalist. See the abundant wildlife and revisit the history of this waterway where many of Essex’s colonial ships were built. Participants should arrive at 4:30 p.m. to register on-site and launch their crafts on the rising tide prior to the 5:00 departure time. A safety boat will accompany. Bad weather cancels. North Cove is a 230-acre body of tidal water between the Falls River and the Connecticut River. The cove is formed in part by Great Meadow, a 200-acre “pendant bar” or levee along the Connecticut River. Great Meadow has no public access. North Cove was noted for shipbuilding, and the nearby Williams’ yard turned out sloops and schooners for the commercial trade in the 19th century. Empty now, Great Meadow was also a beehive of activity. Cattle were grazed, salt hay was harvested and duck hunting blinds once lined the shore. The bar was also a base for the local fishing industry and its lucrative seasonal shad run.